One of the deep cries in our culture is the need for authentic, real, genuine relationships. I love that social media allows me to be able to see how—and what—my friends are doing. I like to see what has transpired in their lives since the last time I saw them in person. However, the human need for authentic relationships is not met by how many social media friends I have, or by how many likes or comments I can generate on my latest post. Social media is a great supplement for human connection, but it cannot replace physical interaction. We are all designed for and want human connection, a connection with skin on, and you can’t fulfill that desire on a screen. One thing you don’t normally see on the highlight reel of a social media timeline is vulnerability. Just a few moments ago I took 4 pictures of my coffee and spent probably 3 minutes working on the staging of that pic. Why? Perhaps I think that if I get the perfect angle or add the perfect filter, I can generate more likes and enjoy the 30 seconds of delight that it gives me. My life is not enhanced by that at all. Last weekend I shared at a men’s breakfast with about 10 men. I shared a short message, then got really vulnerable and real with them about my journey. My heart was stirred, theirs was as well. There is something about sitting across them sharing the ups and downs of my walk. The equity I get from my post fails in comparison to the conversations at the breakfast. Vulnerability opens the door to the heart. 1. Vulnerability is not emotional vomit. Gossiping, complaining, and griping is not vulnerability. They are sins. There is a grave difference between describing another persons behaviors and talking about your feelings and the tensions you are dealing with. I can’t tell you how many times I’ve heard people justify gossip under the banner of “I’m just being real.” Maybe what you need to do is deal with the bitterness in your heart and be more self-controlled? Being vulnerable is about “you” not somebody else. We all have issues. I don’t tell everybody everything, nor should you. There are things my wife knows about me that nobody else does. She is the only one who should know those things. If I tell everybody everything, then there is nothing sacred about my trust or my transparency. You need to develop trust before you share the deepest parts of your life. 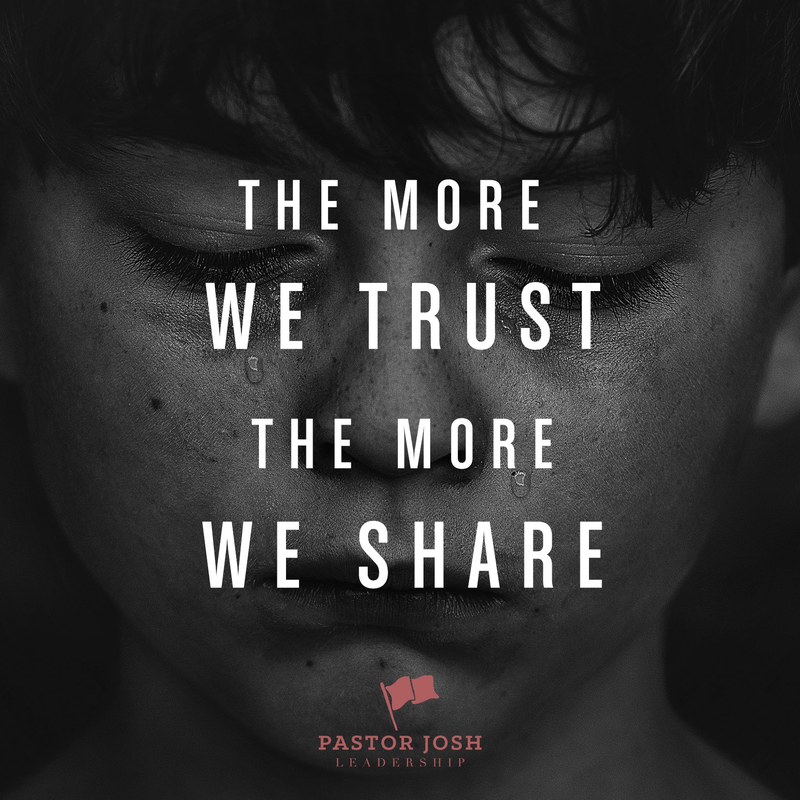 The more we trust, the more we share. As a rule, I only share deep things with people that can help me with deep things. We must have these people in our life. We were never meant to carry the weight alone. 3. Be real, and let them be too. I’ve found that when I am authentic with people, it reciprocates. 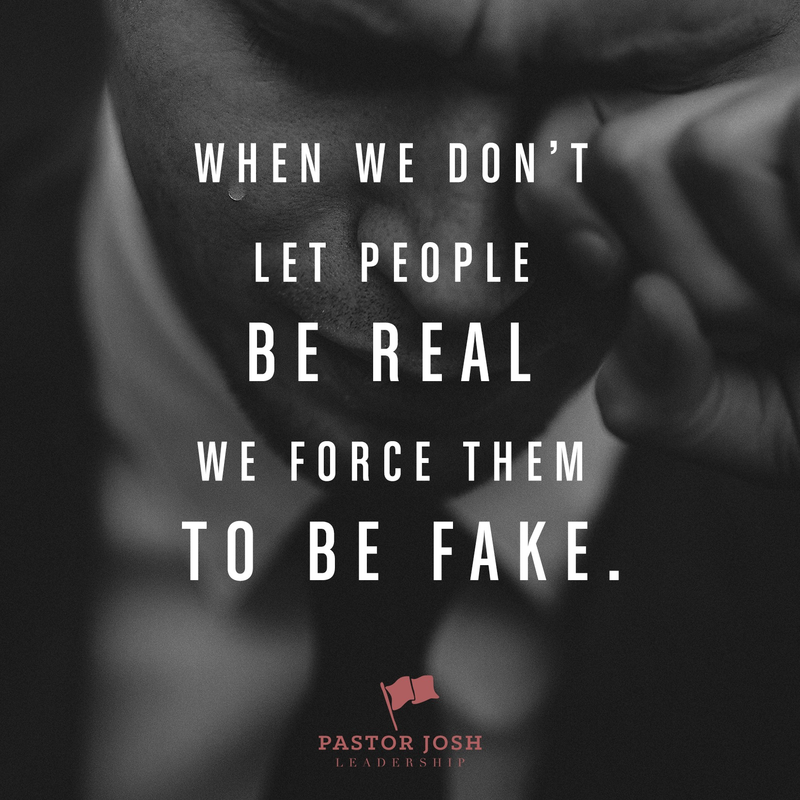 When we don’t let people be real we force them to be fake. Being vulnerable is important. Knowing the difference in when and whom to share with is vital. When we are able to open up in areas that we are hiding due to shame, we will start to get freedom in that area. Be prepared: to be vulnerable where you need to be, and gracious when someone deems you the person they see fit to be vulnerable with. Clutter: Finding focus through all the noise. As long as I can remember, I have had a difficult time focusing. In grade school, I had to go to a special class with other kids that had a hard time focusing. I remember having to take Ritalin, then they doubled the dosage. I can't remember if it helped or not. I do remember how I felt though—stupid and below “normal students.” Then out of nowhere when I was in junior high, the classes stopped and so did the Ritalin. The experts told me my brain simply woke up…? I guess I had ADD before they had a name for it. Personally, I think in a lot of ADD cases people don’t really have “disorders,” they focus differently. You see, I discovered something later on in life: I have an incredible ability to get in the zone and be highly productive. What’s crazy is a lot of leaders I talk to are the exact same way! A lot of highly productive people have a hard time focusing. One of the secrets, for me at least, was less clutter. In an age of instant news, live feeds and push notifications, it is more difficult than ever to get focused. I can’t tell you how many times I have zoned out of a conversation because my phone when off. When I finally check back into the moment, I have to say something like, “I’m sorry, could you repeat that?” Don’t fool yourself, successful multi-tasking is a myth. You may think you handle several things at the same time in order to save time, but you are actually wasting time switching between task. Everyday, hundreds of things are begging for our attention. It’s just noise distracting us from the things that are really important. Clutter! It’s keeping us from being present in the moment with loved ones, and it also keeps us from being productive. 2.  Limit your access- If you work from a desktop, use an app that will help you. I use an app called “Self-control” often when I work. (https://selfcontrolapp.com) It keeps me from going to social media websites (or Amazon-which I frequent, #onlineshoper) when I am working so that I can remain focused. 3. Set timers to focus on one thing- I have a number, 105, written on the chalk board in my office. When it is time to study I set a timer, turn on “Self-control,” and work on one thing for 105 minutes. This has been incredibly helpful for my capacity to focus. I seem to get done in less than two hours what used to take me four to five. I more than double my efficiency. I would recommend that if you are putting your time into a project, never spend less than 40 minutes of total focus on the task. You will get more done if you work harder longer, rather than coming back to it multiple times for shorter amounts of time. 4. Leave your phone in the other room- Some of my favorite times at the house are when I forget that I have a cell phone. I am sure it’s some of my family’s favorite time as well. I need to do it more often. 5. Environment- This is huge for me. In my office, I always have a candle and a blend of essential oils to help get me relaxed and settled. I also try make sure to keep my office and my desk tidy and organized. Nothing distracts me more than a lot of reminders laying around telling me something else I need to do. 6. Go old-school- Every once in a while, I have to pull out paper & pencil and start writing. I’ve noticed that I don’t have the temptation to check email or waste 10 minutes scrolling through my Instagram feed when a pencil is in my hand. For my devotionals as well, I have quit reading the Bible on a device because I am able to focus on the word so much better that way. I hope these ideas will also help you to have a more focused and present time. If there is anything you do to help you focus, leave them in the comments below! Yesterday morning, we had our friend, Ron Campbell, minister at Overflow Church. Ron is a prophet, and we love his ministry. We are always encouraged to have the Lord bring outside voices to speak—or to confirm—what He is already speaking to our congregation. Sometimes when a word comes and we don’t see the fulfillment of it, we can easily dismiss the vessel or the word that was given as "off." I don’t think that is always the case. Sometimes when we read the Word (scripture) and see what it says about our lives or our situations, our experience does not line up. Some folks will dismiss the prophetic word and say it’s not truth because it didn’t "work for them." It doesn’t mean the word is not true but it is apparent something isn’t right. It could be that the one presenting the word was "off." It could be that we are misinterpreting the scripture. Yet there is a third option. In Mark chapter 4, there is a parable about the sower and the seed (see below). In this story, we see the same seed being sown yet only 1 out of the 4 times did the seed produce what it was intended to produce. Jesus likens the seed to the word. The Word of God is not sometimes true, it's always true. It is the incorruptible, indestructible, inerrant, eternal word of God made ineffective. Wow! The infinitely powerful word of God is limited; limited by the human heart. Let that sink in: Our heart can limit the word of God. Now, our heart does not change the word, it doesn’t rob the word of its power, however, it is rendered ineffective by the condition of the heart that receives it. The potential of God’s life-giving word is contingent upon our capacity to receive it. Hard hearts, shallow hearts, and hearts that are consumed with worldly desires, can limit the power of God in our lives. I want to encourage you to keep your heart ready to receive the word of God. Whether it be when somebody speaks the word over you through a message or prophetic gifting, or when you are having your daily time in the word. Keep your heart ready! Here are five ways to nurture the condition of your heart, and help get your heart tender and ready for the word. Tenderness makes the soil of our heart fertile for producing fruit. 1- Pray- Before you read. Before you hear. Then pray again after. Pray that the word takes root in your heart and produces fruit. 2-Ask God For Forgiveness- Of offenses you are holding onto, or bitterness of your heart towards others. 3-Worship & Praise God- Spend time reflecting on the beauty of God. Nothing will bring tenderness like thinking about greatness and expressing gratitude for all that He has done. 4-Heart To Heart- Have heart to heart conversations with people. Talk about your hurts, your pain, your anger. Not to rant, but simply to express what you are wrestling with. 5-Read It Again- And again until it gets in you. The very thing that we need in the soil of our heart is the thing that will make that heart tender! Read it, memorize it, print it, and stick it on the fridge. Write it on the bathroom mirror with a marker. Get into the word until the word gets into you!